PTSD - And Didn't Know it! They'll Call You Crazy and Lock You Up! Healing My Anger - Defusing A Time Bomb! Dan L. Hays has been diagnosed with Post Traumatic Stress Disorder which is both chronic and severe, from two incidents in his childhood, only remembered when he was an adult. Dan was walking around in the '80s with most of the symptoms of PTSD, but had no traumatic event he could point to. For years he struggled with alcoholism, hypervigilance, flashbacks, a severe sleep disorder and other PTSD symptoms. His father's death pushed Dan to dig deep and discover what had caused the emotional pain that was tormenting him. in 1988 Dan remembered a violent incident with his Dad when he was 17. At that time he was working with a therapist and on the road to recovery, but it was still a process to uncover the old incident, and then begin to do something about it. His first memoir Freedom’s Just Another Word chronicles how he remembered that incident and began his journey to heal from the effects of the violence. Many people have found the potential for healing in Dan's memoir. As Dan shared, "I wrote this book just to put together all that had happened during a critical time of my life," but was surprised when someone said "your book gives me a road map for how to get past the abuse." The second half of the book is about solutions - the healing tools he used during that critical time of his life, which helped him begin to heal the wounds, and allow the seeds of forgiveness to grow in his world. Dan was very surprised that one group which connected with his book was women who had been sexually abused. As one person shared "abuse is abuse - you talk about how to get beyond it." 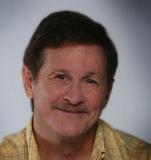 Dan has used the 12 step program model extensively, along with therapy, both group, individual and EMDR. He has done numerous healing exercises like Gestalt "empty chair" exercise to connect with his inner child, which helped him remember the violence from his childhood. Dan has been very creative in finding solutions that work successfully for him. One of those solutions includes extensive writing exercises, such as the one below. Dan is a gifted writer who struggled with a significant writing block. He wrote two books that publishers were interested in, but he backed away and the books were never published. In 2003 he began to remember events with his grandmother when he was 8 years old, about his dream to be a writer. She threatened to have him locked up in an insane asylum; those incidents were the second source of his PTSD. He is writing a second memoir to chronicle those events and how he recovered those memories. He has published chapters of that memoir for an online magazine - it has been a powerful part of his healing process. As Dan says "I've gotten more relief and healing out of this writing process than I have from the EMDR therapy I did." Dan has shared in numerous radio interviews about his healing journey, and how he has successfully overcome many of the effects of his Post Traumatic Stress Disorder. Dan presents hopeful messages in his radio segments Minute To Freedom, and is a co-host on the popular radio show Dialogues With Dignity. He shares insights from his journey in his blog Thoughts Along The Road To Healing. You can also visit his website to find out more about Dan and his about upcoming books. Dan's message resonates with audiences beccause he speaks of solutions, and of hope. As he says "no matter what the abuse, there is the hope of healing." Independence Day - Little Danny Set Free! Audio: Exceprts from "Freedom's Just Another Word"
Minute To Freedom: 100 inspirational seed thoughts for your day! Dialogues With Dignity: When is it Fear and When is it Intuition? Reviewer Laura Schultz is a freelance writer and President of Counseling at Your Service in Los Angeles. She has been a licensed Marriage and Family Therapist for over 25 years and a life coach specializing in sexuality, addiction and childhood trauma. She has published articles in several national magazines on sexuality, relationships and communication, spirituality, and health and wellness topics. She has also extensively researched serial killers and sociopaths. Far better it is to dare mighty things, to win glorious triumphs, even though checkered by failure, than to rank with those poor spirits who neither enjoy nor suffer much because they live in the gray twilight that knows niether victory or defeat. -- Theodore Roosevelt. Theodore Roosevelt. Although a sickly child, he overcame that to become an advocate of a life of vigorouse physical exercise. He was enamored of the cowboy lifestyle and moral code, which encompassed cheerful perseverance in the face of obstacles, moral integrity, honesty and a dislike for hypocrisy. He was an avid reader and student. He believed in confronting and challenging his fears in order to overcome them. Most importantly, he perceived himself to be a success. Teddy liked to accept challenges, be well informed and have opinions. He had much determination and perseverance. He was a man well acquainted with greif, and had learned much from it. C. S. Lewis was a scholarly man of quiet and modest habits. He disliked some of the pretentious trappings of modern theology. He was a philosopher and a theological commentator. He liked solitude and long periods of quiet contemplation. He lectured publicly, but maintained a sense of privacy about his personal matters. Lewis had a strong system of personal and literary support. An aspect I most wish to emulate about Lewis was his wonderful and free imagination, which he let loose full force in The Chronicles of Narnia. Nathaniel Hawthorne was a technical craftsman of unparalleled excellence. He crafted and shaped his narratives, editing and revising very diligently. His works dealt with major themes, but also had a psychological slant from which they could be interpreted. Hawthorne believed in being aware of and dealing with the dark side of human nature. He felt not to address it would be naive, because he had concluded that the viewpoint which most fully explained human nature was to acknowledge original sin. In developing his craft, Hawthorne lived out a long apprenticeship of learning his trade. He, like Lewis, had a storng literary support system. He, too, avoided the pitfall of the excesses of creative souls. Hawthorne was a very shy and retiring individual, and he also sought much solitude. Chuck Yeager was a brilliant and dedicated accomplisher. He had an unflinching self confidence, was aggressive in challenging new areas. He was very competitive and had an excellent sense of humor. He knew what he wanted and he went after it. He was a finisher - completing what he started. He was very dependable, and possessed high integrity. As a pilot, he was very intuitive and instinctive, yet also believed in the importance of doing his homework and studying the parameters of the craft he was flying. He was an avid learner, and eager to acquire practical knowledge. He was very straightforward, and spoke his mind plainly. To balance my serious nature, I also choose to have a humorous model, yet I am undecided at present who to choose. Mark Twain comes to mind, but is unsuitable. He was not a God oriented man, and there is a bitterness and biting sarcasm to much of his humor that is unpleasant to me. James Herriott is also appealiing because of his technique of humor through exaggeration, but is unsatisfying ways. Therefore I will continue to search for a humorous model.